A disproportionate number of low-level drug criminals who are behind bars are African Americans sentenced under strict laws from the days of the crack epidemic. Hoping to correct that disparity, the Justice Department is encouraging defense lawyers to help identify inmates for clemency, the New York Times reports. 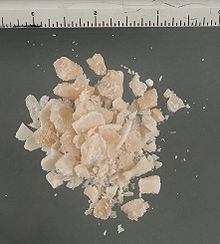 Penalties for drug offenses involving crack were often more severe than those with powder cocaine. So far, Obama has commuted the sentences of eight federal inmates sentenced to harsh sentences because of crack. Posted: 1/31/14 at 9:33 AM under News Story.